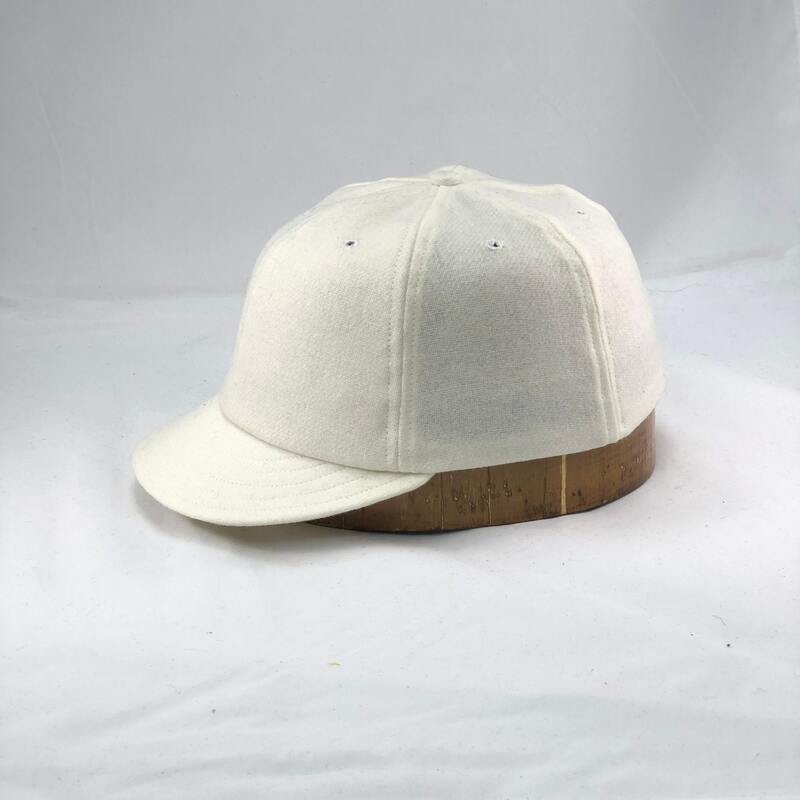 White wool flannel 6 panel cap with 2” visor. Custom made to order, Fitted to any size. 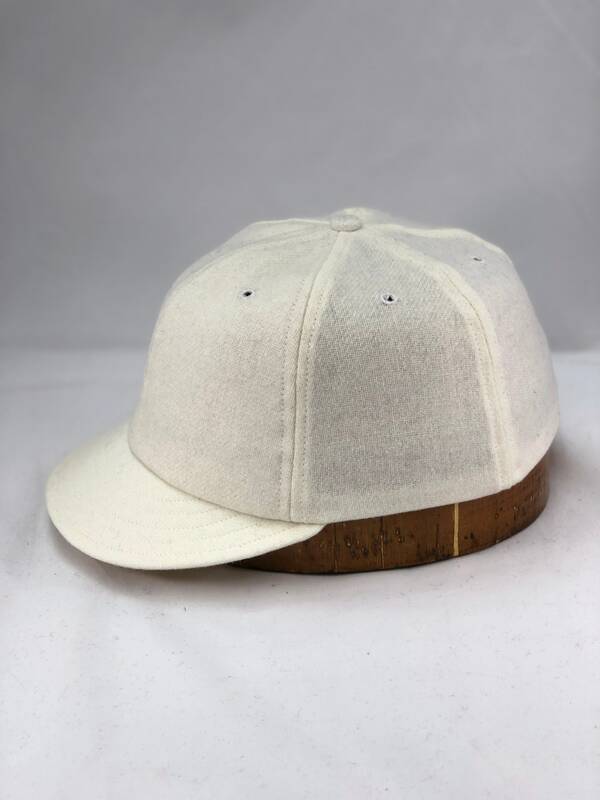 Soft 100% wool flannel fabric is used for the crown of this cap. Select your desired color when checking out, along with your cap size! Each cap is hand made in Hanover Pennsylvania with the upmost attention to detail in both quality and fit. While wool is knows as a warm and durable fabric, it also is known to breath and keep you cool in the hot weather, and warm in the cold. Fitted to any size with brushed cotton twill sweatband. Not sure of your size? Take a measurement of your head, where the cap band normally lies and divide by pi (remember that math you wondered how you would ever use in real life? 3.14) Just don’t pull the tape measure too tight! You can choose your size (if known) from the drop-down menu for each cap. From 6 1/2 to 8 1/2, we have your head covered! If you do not know your cap size, you can simply measure your head where the cap band normally lies. (keep a finger tip under the tape so the cap isn't too tight!) Divide that measurement by 3.14 (pi) and your exact size will be the result! We do make half sizes so feel free to contact me regarding your order if your cap size is say a 7 3/8+ or -. If you have the need for a deeper cut cap, or a more shallow cut cap, submit your ear to ear measurement. **Finally you found a place to make a cap to fit YOUR head. Like a fingerprint, no two heads are alike! As each cap is hand crafted in our small shop in south central Pennsylvania, We can not offer the normal wholesale discount that larger companies and imports can offer. What we can offer is the highest quality material and workmanship available in the custom made cap market. What we are able to do is discount your order for 1 dozen, 2 dozen, etc. Contact us for more detailed quotes. We also offer a dual labeling program, where your own brand label can be stitched in along with our brand label. 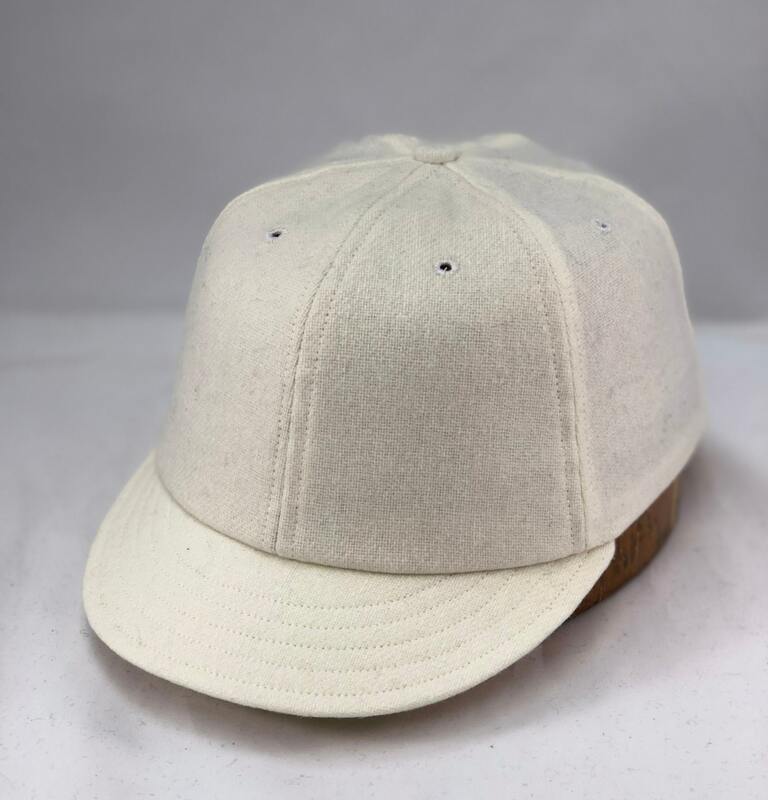 No private label caps (not having our logo inside) offered. 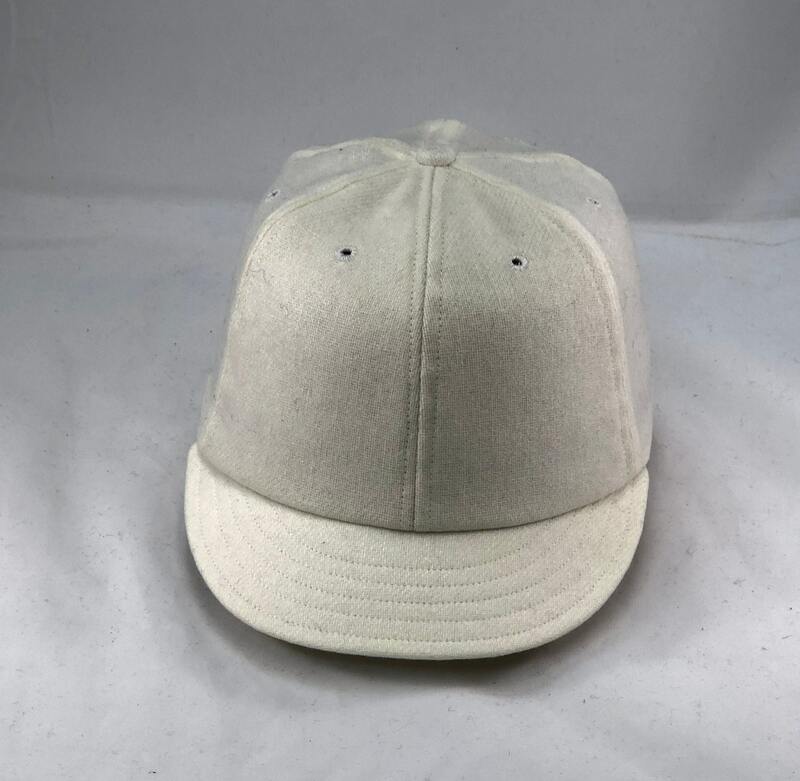 Do you make caps from customers material? Yes! As long as the material in a normal cap material such as woven wool, cotton, linen, etc. The only leather we can use is very thin garment weight. No hair on leather either! We have had customers send us their favorite shirt that may have passed the age of being worn out in public. They have it up-cycled into a custom made cap! So if you have that special piece of clothing that you hate to throw away or donate, have it made into a custom cap or two! No, unfortunately at this time, the cost of the MLB license and commission structure is beyond the financial grasp of small businesses like mine. As Stockbridge Sewing Works grows, who knows! Yes, we now offer over 15,000 stock embroidery files. Custom embroidery are will be charged a custom digitizing fee. Starting at $25. Send your artwork to norma@stockbridgesewingworks.com for a quote. Back in 1989, living in a small 1800's schoolhouse in rural upstate New York, out side the small town of Cooperstown, I found my passion for caps. Working with several companies as a sub contractor, I produced many caps without my label on them. Feeling a little left out of the cap spotlight,I threw caution to the wind and ventured out on my own. First, step was renting a tiny one car garage in downtown Cooperstown, behind the bakery, at the one street light in town. Then I moved my machines and fabric in and put a hand made sign up "HAND MADE CAPS $22". The price has changed but the quality has only gotten better! Now handmade in Pennsylvania.